In McKinney’s charming historic downtown, you’ll find Rye Craft Food and Drink occupying the former law office of Texas Governor James W. Throckmorton (1866-67). This winsome little dive is a labor of love, as owners Chef Jeff Qualls and his wife Michelle hand-built everything from the bar to the wooden booths. Each decorative piece tells a story, too. On the walls hang the chef’s own photographs, unusual pieces collected from flea markets and antique malls line the shelves and the tables, and all of the wood is reclaimed from a local salvage shop. And don’t forget to pay a visit to the bathroom! 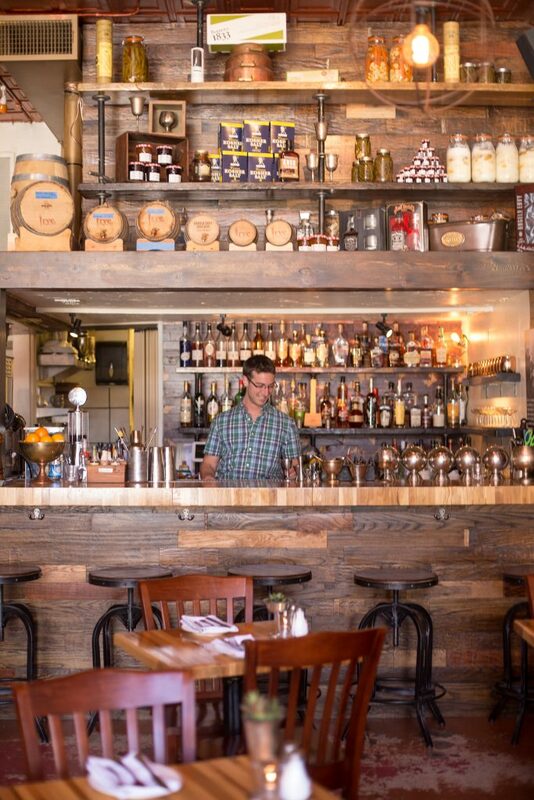 Above the bar is an open pantry filled with local ingredients. Employees actually climb up and down the bar to retrieve the items they need. Rye also does beer, whiskey and wine brunches and dinners–an exclusive three to six course meal paired with an alcohol vendor. (Stay tuned for more information on the OHB beer brunch coming July 24th!) Rye claims to give “a nod to a simpler time with locally sourced products, hand-crafted cocktails, and the forgotten spirit of hospitality,” and we are happy to report that the rumors are true. 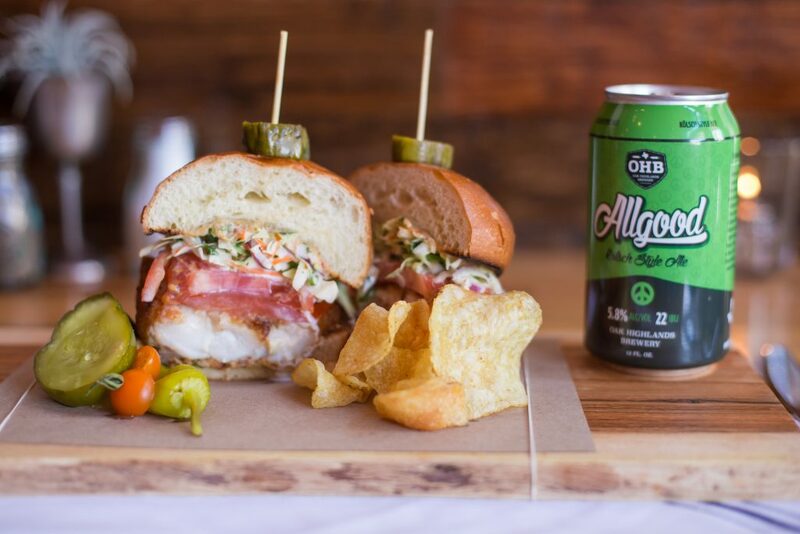 The Florida Grouper Sandwich (Allgood beer batter, red chile remoulade, malt vinegar slaw) paired with a can of Allgood!